(3.5’ g/10 min.) propylene-based copolymer for use in extrusion blow molding applications is the latest addition to LyondellBasell’s family of metallocene-based resins. The high-performance, premium Pristene RM2091 resin is produced using the company’s proprietary single-site catalyst and is being introduced as part of the new Pristene family of resins (LyondellBasell recently introduced another high-performance grade, RM 2073, which also will be marketed under the Pristene tradename). Pristene RM2091 resin, at a melt flow rate of 3.5g/10min, has excellent melt stability, making it a candidate for use in applications requiring intricate design attributes such as clear handles in an extrusion molded bottle. Breakthrough standards for clarity and stiffness are also met by Pristene RM2091 resin. It can be considered for use in the replacement of traditional materials such as glass or amorphous transparent polymers including polycarbonate (PC), polyvinyl chloride (PVC) and PET-glycol (PET-G) in extrusion blow molded applications. “The new Pristene grade also offers ease in processability with no plate-out characteristics. Further, it does not require pre-drying or high processing temperatures associated with other resins such as PC and PET-G,” Gupta said. “This not only saves time, but it also saves energy.” Tests show that the resin is not sensitive to shear and is not susceptible to the degradation commonly associated with polymers such as rigid PVC. The end result is an alternative to high-performance engineered amorphous clear resins. The resin delivers weight savings without sacrificing functionality due to the significant density advantage it offers. “Since Pristene RM2091 resin enables a reduction in resin usage compared to competitive alternatives, there also are potential environmental benefits,” Gupta said. Pristene RM2091 resin has excellent aesthetics, demonstrating high-end transparency comparable to PC and other clear amorphous resins. It also can be considered for use in applications requiring refrigeration impact performance. 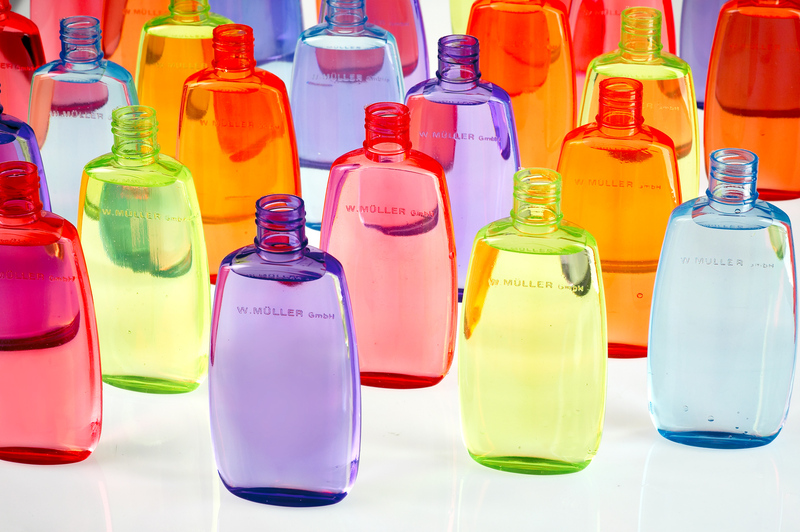 “Extrusion blow molders have desired a cost-competitive alternative with reasonable toughness for transparent, hot-fill bottles. Brand owners and specifiers have been looking for a competitive advantage through brand recognition and shelf differentiation. It is now possible to achieve benchmark optical properties of competitive resins such as PC, PVC and PET-G,” Gupta said. “With the excellent performance properties and the high level of purity of metallocene-based polyolefin copolymers,” Gupta added, “a possible use of Pristene RM2091 resin is consumer products such as baby bottles and water coolers.” The resin also can be considered for use in applications such as food packaging (fruit juices, ready-to-drink teas, etc. ), pharmaceutical vials and bottles, and cosmetics. Burkhard Wehefritz, Global Metocene Business Unit Leader, said: “Our new Pristene resin family offers more opportunities to expand the use of high-performance propylene-based resins in injection molding and extrusion blow molding, providing an excellent alternative to materials such as PC or PET-G."